Our Story - It’s all about the fun! Established in 1990, Up The Creek has managed to adapt, grow and refine an authentic, no-nonsense personality while staying true to its original culture. Honouring only South African artists for almost three decades, Up The Creek has paved a pioneering path in the South African music festival circuit by offering a smaller, more intimate experience. 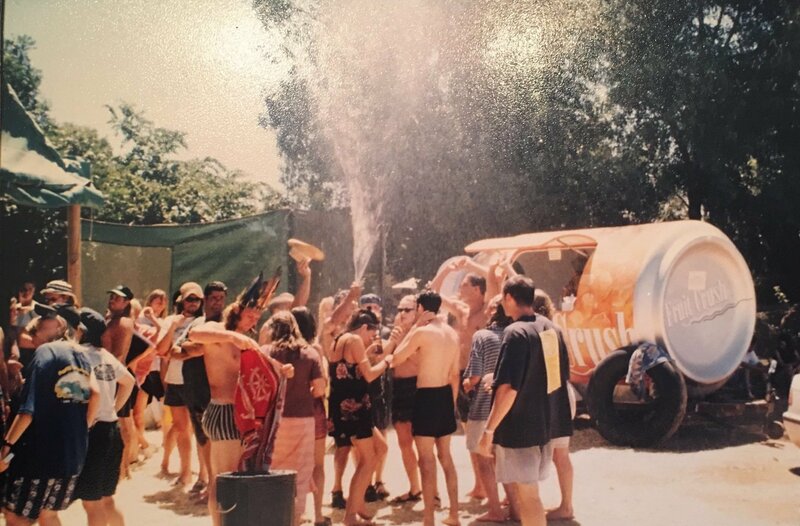 The inaugural Up The Creek, Anthony’s (second from right) 40th birthday party in 1990. Quirky and questionable outfits became his trademark for years to come. Up The Creek was one of the first music festivals to incorporate comedy. 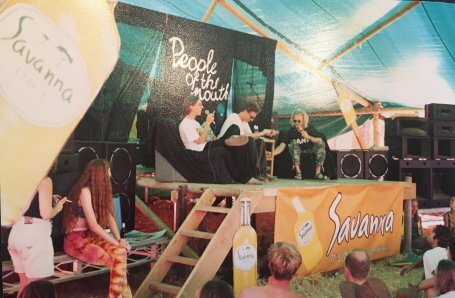 Here (circa 1998) a comedian interviews a young Albert Frost during the People of the Mouth show, the festival’s version of Dali Thambo’s popular TV show, People of the South. In the early days, all the music happened on the stoep of the farmhouse on the riverbank. Annie’s partner at the time, Anthony, was turning 40 in 1990. They both shared a deep love for rock ‘n’ roll and owned the Up The Creek camp from which they ran a river rafting adventure business. Annie secretly invited all of Anthony’s friends to attend his surprise birthday party that would be held at the camp. 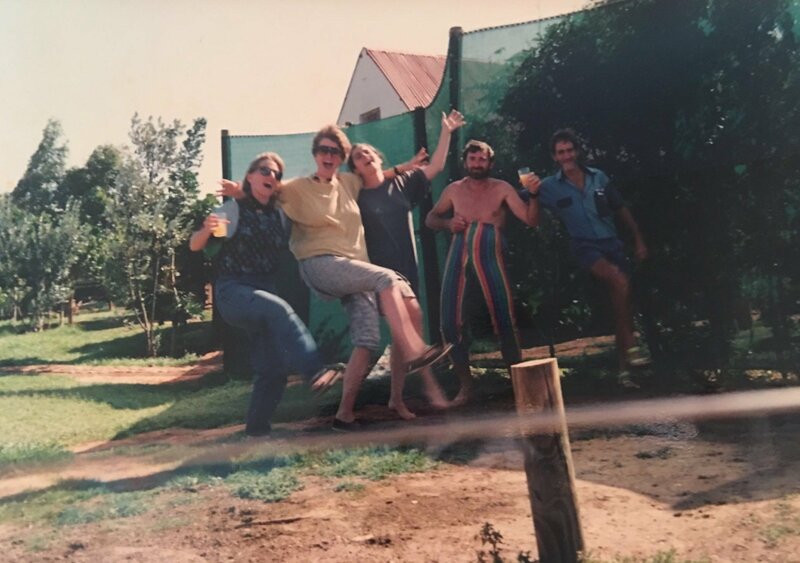 Each guest was asked to contribute R10 towards payment for the three bands (one of which was named The Worst) that Annie arranged to perform at the party. When 100 guests showed up, Anthony expected a fun weekend of canoeing, spit roasts and having a great time with friends. But when the first band rocked up and asked, “Where can we plug in?”, he sensed that something much bigger was about to happen. The birthday party turned into three days of unrivalled fun, continuous music and non-stop dancing. The birth of Up The Creek. Creekers having a jol at the late night stage, circa 2010. 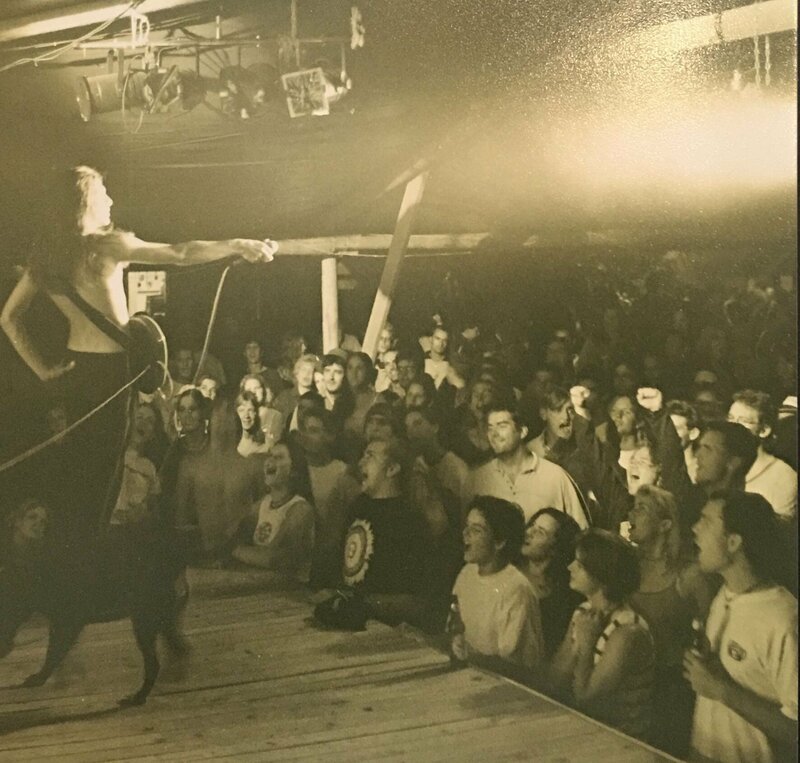 Is that a dog on stage?! No matter the time of day, Creekers are always up for a boogie. 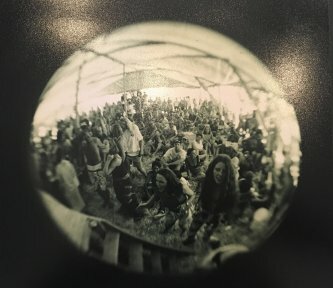 There is no VIP area at the festival, which means musicians come out to play with their fellow Creekers. Meet your local heroes. Everyone is special at Up The Creek! Come as you are, everyone is special. Bring a vibe or bring your tribe. Or bring both! Braai is kiff, but not at the Creek. Sadly, no open fire dances. R.E.S.P.E.C.T. Find out what the environment means to me! We’ll float your boat, you bring the floatie. Love thy neighbour, the Creek support staff and cleaners. High fives are rewarded with good karma. Live music is magic. Treat it with honour. Party with care. Forgetting your name and tent location is a lus. Tan lines will fade, but the memories will remain.